A new book is now out, jointly published by the St John of Shanghai and San Francisco Foundation in Tver, Russia, and Russkiy Pastyr of San Francisco, titled Obretenije, Proslavlenije, Soprikosnovenije [Translation. Glorification. Contact]. 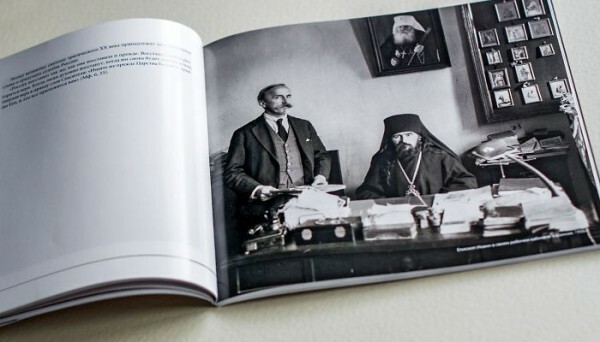 A new book is now out, jointly published by the St John of Shanghai and San Francisco Foundation in Tver, Russia, and Russkiy Pastyr of San Francisco, titled Obretenije, Proslavlenije, Soprikosnovenije [Translation. Glorification. Contact]. This book was published to mark the 20 th anniversary of the glorification of the great saint of the 20 th century, St John (Maximovich) of Shanghai and San Francisco the Miracle-worker. It contains a biography, excerpts from his sermons, rare photographic material and three essays by Protopriest Peter Perekrestov, who participated in the uncovering of his relics in 1993, his glorification in 1994 and the changing of his vestments in 2011. His Eminence Metropolitan Viktor of Tver and Kashinsk and His Eminence Metropolitan Hilarion of Eastern America and New York contributed forewords.